CPL Travel Grants for High School Groups are designed for high school teachers who want to take their students on a trip to an excavation, exhibit or historic site(s) that both enhances their learning experience and furthers their interest in Classical Studies. The grant supports both domestic and international travel. Requests for funds up to $2000 may be submitted, but every effort will be made to share these resources in smaller amounts among as many schools as possible. Proposals should include a budget, the dates of the projected trip and a detailed description of the planned activities, including a time line; proposals for support of participation in an excavation should include a letter from the excavation director detailing the students' responsibilities. The proposals will be judged by Committee for the Promotion of Latin. 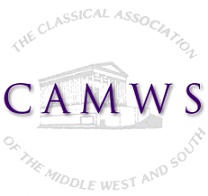 Questions pertaining to the preparation of a proposal should be directed to cpl@camws.org. Upon their return recipients of a CPL Travel Grant are required to provide documentation of their participation in the originally proposed activity, a brief report on the outcomes of the travel, including issues that may have occurred and that may be considered by the grant committee in the future, and a summary of this activity, including photographs, for publication in the CAMWS newsletter and on the website for the grant. Applications for the CPL Travel Grant for High School Groups may be submitted by high school teachers who hold a current individual membership in CAMWS. Application for grants will be reviewed in two groups. The deadline for consideration for fall requests is September 30, and the deadline for spring and summer requests is January 30. An appplication form for this grant will be posted on this page in the near future.